Thank you for your interest in the California Aviation Hall of Fame. The following information should be helpful in nominating your candidate for enshrinement into the Hall of Fame. Please print and fill out the form below and mail it in, or use the web-form right below. Nominees may be anyone, living or deceased, who has lived in California for at least five years and whose achievements have significantly contributed to advancements in air and space flight. Anyone can nominate a candidate. 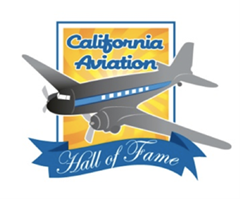 If you have any questions on developing your nomination package or about the California Aviation Hall of Fame in general, please contact us.